During the Milano Design Week 2008 the german design studio ding3000 will present its new collection themed Animal Tales. 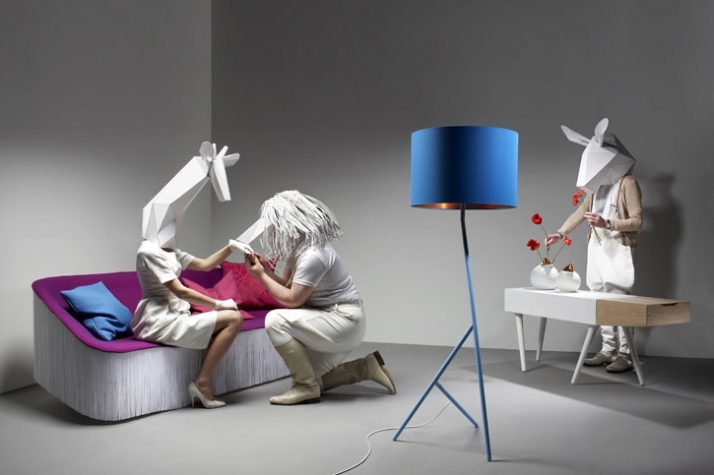 It’s a set of furniture, luminaries and accessories all inspired by the animal kingdom. tazi | Elegant afghan hound – floats swiftly through every living room! 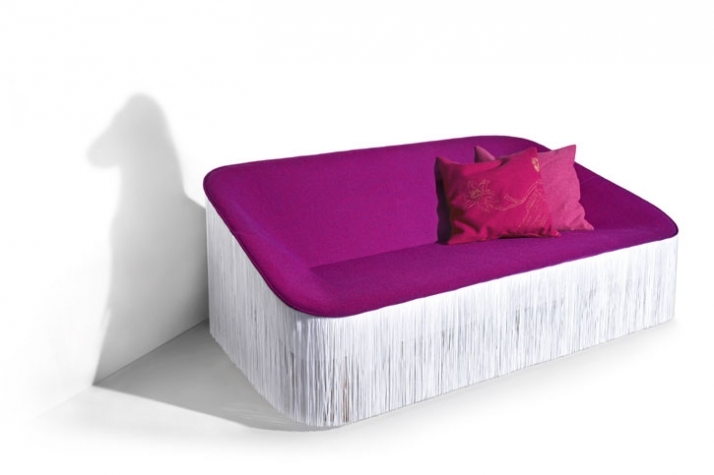 The sofa tazi is inspired by an afghan hound. A curtain of white fringes covers substructure and legs. Only the seat remains visible. Due to this design-trick the sofa seems to ”float” above the floor. cuco | Greedy chick – always hungry for fresh flowers! 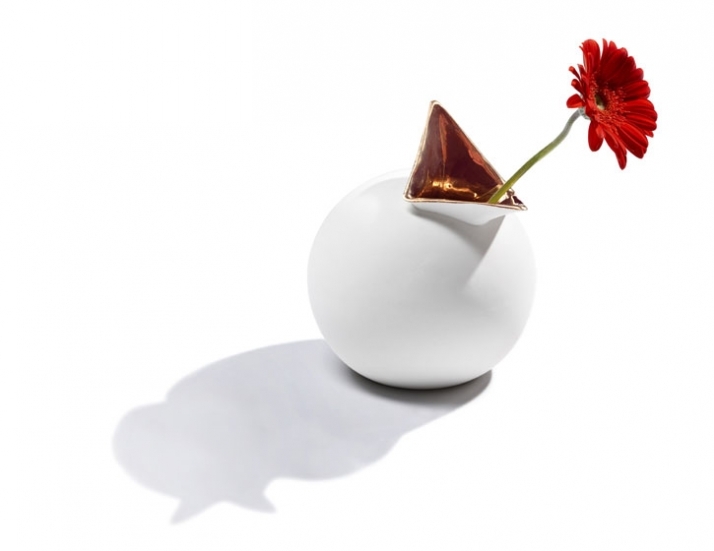 The cuco vase is a sphere with a beak-shaped opening glazed in copper and taking in the flowers. This design is inspired by the image of a hungry cuckoo chick. 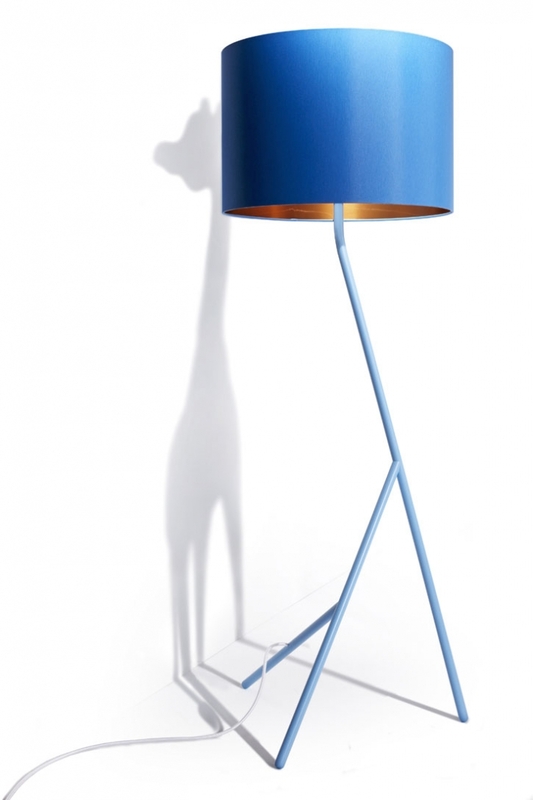 jirafa | Shy giraffe –being all bright, it hides in the lampshade! Characteristic feature of the floor lamp jirafa is the construction of the lamp´s base. The three legs differ in length and are attached to each other following a mathematic algorithm. Despite this technical design principle the lamp has a natural appearance and offers different impressions when looking at it from varying angles. The design is inspired by a giraffe. muli | Not-at-all-stubborn mule – carries almost everything without a moan! The sideboard muli is inspired by a mule. The body is made out of solid oak and houses a big drawer and a shed which is accessible from the top. 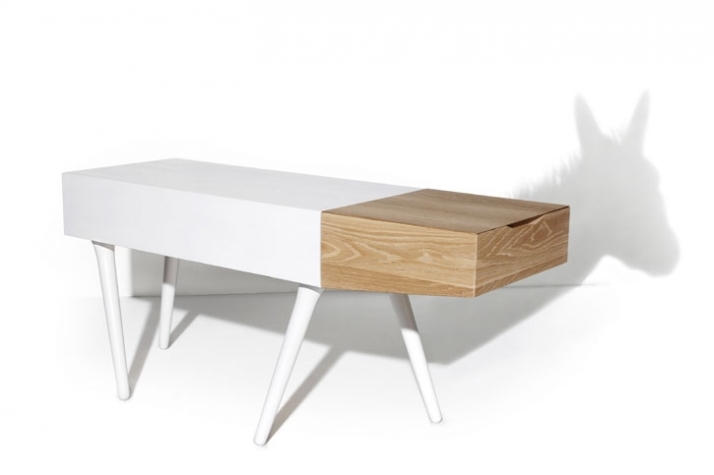 The angled legs leave the impression of the sideboard being „walking”.